A few months ago, I wrote an article entitled “90 Switching Studies Prove Biosimilars’ Safety and Efficacy: What Now?” This article was based on what I consider to be the leading source of biosimilar real-world evidence to-date: a literature review emphasizing the safety and efficacy of biosimilars following 90 different single- and multiple-switch studies. Little did I know, however, that this article would resonate with stakeholders, not only in the U.S., but also in Brazil, which is currently working to construct a National Biological Policy guiding the use of biologics and biosimilars. The event took place over two days, the first of which was dedicated to an all-day conference featuring speaker presentations and Q&As with various biosimilar stakeholders, government purchasers, and Agência Nacional de Vigilância Sanitária (ANVISA) regulators. The second day was a closed meeting with Ministry of Health officials, ANVISA, and the speakers. In addition to myself, there were three other speakers, including Hellen Silveira, a Brazilian rheumatologist, Adrian van den Hoven, director general of Medicines for Europe, and Nikolai Brun, CMO and director of the division for medical evaluation and biostatistics for the Danish Medicines Agency. There was also a wonderful group of Brazilian physician and patient advocacy moderators tasked with asking questions and stimulating conversation after each presentation. I was excited to experience this event, not only to continue educating myself on biosimilar experiences and the Brazilian market, but also because this would give me a front seat to a process I’ve only ever written about — policy-making and market-building. I recently wrote an article emphasizing the importance of stakeholders sharing their biosimilar experiences as often and as loudly as they can. In doing so, these stories can serve as inspiration for nations that have yet to act upon or fully embrace biosimilars. In this particular case, though Brazil has invested in developing a local biosimilar manufacturing industry, the government has yet to determine to what extent it plans to purchase and use biosimilars. And that was exactly the purpose of this meeting. Over the two days, van den Hoven and Brun shared biosimilar successes from Europe and Denmark, respectively, and Silveira provided a glimpse into her experiences with biosimilars and medicine procurement in the country. I discussed some of the strengths and weaknesses I’ve observed in current biosimilar and biologics educational strategies and emphasized just how much solid biosimilar real-world evidence is being released weekly. Though I’ve discussed Brazil’s biosimilar goals in the past, I was given a first-hand look at some of the unique market-related challenges standing in the way of the country taking full advantage of the biosimilar industry it has worked to build over the past decade. 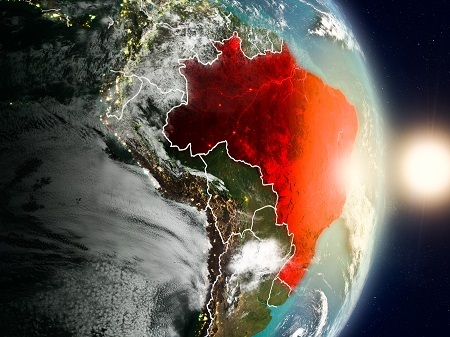 In the first of this two-part article, I will provide a closer look at some of these challenges and what these may mean for the Brazilian biosimilar industry moving forward. Over the past two years, I’ve highlighting Brazil’s pharmaceutical market and its goals to establish a local biotech industry. These goals are best observed through the biosimilar development scheme the government established known as the Productive Development Partnership (PDP) program. Through this program, private Brazilian biotech companies, seeking the skills and technology to make biologics and biosimilars, partner with an international company — which owns the necessary technology — and a public laboratory in Brazil to garner a government contract for a specific product. Following this contract, the product supply and technology is transferred into the country so the product can be made in Brazil. The first biosimilar products to be approved and adopted for both the private and public markets in Brazil were Eurofarma’s filgrastim and Celltrion’s infliximab. Biocon/Mylan’s trastuzumab biosimilar and Samsung Bioepis’ etanercept biosimilar are also currently offered in the private market, and there are two PDP-made products (etanercept from Bionovis and trastuzumab from Libbs) that are expected to be purchased by the government sometime in the near future. But so far, biosimilar use in the country as a whole is far from significant and large government purchases of biosimilars have not been guaranteed. In fact, I’ve heard through the grapevine that there have been some serious concerns about the future existence and success of biosimilars in the country — and that’s something I never expected given the size of the country and its publicly funded healthcare system. Knowledge gaps and policy barriers are characteristic of any new industry, so I’ve always assumed the world simply needs a few more years to get its biosimilar ducks in a row. (Some countries may need longer…) I never imagined a future in which large countries like Brazil would not have a biosimilar presence. However, as many of us in the U.S. have experienced the past few years, safety and efficacy information about biosimilars is prominent but not yet trusted (or well communicated). Similarly, innovator defense strategies are sound. Likewise, these are both common challenges in Brazil. But innovator defense strategies have led to a fascinating albeit disturbing market reality. For instance, in Brazil, the innovators, encouraged by the government, have slashed the prices of their reference products, making it difficult — if not close to impossible — for the biosimilar to offer discounts warranting large-volume purchases and use. (Being from the U.S. where drug prices unabashedly continue to increase, it’s something out of a fairy tale that a reference product would be just too affordable to distract from cheaper competition.) As per the country’s pricing scheme, a biologic is approved and given the lowest international price. But in order to be incorporated at large volumes into the SUS, the product undergoes additional pricing negotiations, which has led to a 65 percent to 75 percent discount from the lowest international price. Now, we could look at this scenario positively from a short-term patient access standpoint. In an ideal world, more patients would be able to access the product if there were significant price decreases to the innovator, and the government could also save on healthcare costs without having to transition patients. But from a long-term-savings, competition, and supply-chain standpoint, keeping the market innovator-dominated raises red flags — especially given Brazil’s long-term goals to eliminate dependence on pharmaceutical imports, reverse the trade imbalance, and build its own biotech industry. Indeed, to put biosimilars on the sidelines would have huge implications on private sector PDP companies Bionovis, Cristália, Libbs, and Orygen which have made large investments to develop local capacity. Similarly, I have doubts these innovator discounts would be consistently carried into the private market, which does not have the same power as the government to keep prices down. As I stated earlier, the private market is where a majority of the oncology mAb coverage will occur. Sales figures for cancer care in the private market are already growing by leaps and bounds. Take for instance, private rituximab sales which leapt from roughly 170 million R$ in 2015 to 280 million R$ in 2017. Without the looming cloud of competition within the country, pricing would, in the long-run, remain unchecked overall. Now, I daresay I wasn’t alone going into this meeting unsure of what the future would hold for the Brazilian biosimilar market. But if this meeting was any indication of the future, biosimilars will live to see another day in the country. In the opening remarks, Marco Fireman, the secretary of the Ministry of Health, cogently emphasized the importance of all the stakeholders working together to establish a biosimilar market. In fact, Fireman seems to believe biosimilars are an opportunity in which the country cannot afford to fall behind, and this was a reassuring way to begin the conference overall. However, this is not going to be an easy task.